Convict Hill Floor Covering & Design, Inc.
Our local flooring store has been serving Austin and the Central Texas area for over 20 years. Whether you are building your dream home or remodeling, our flooring design professionals are here to help your dream home come true. We offer a variety of natural hardwood, engineered wood, tile, stone and carpet floor coverings to choose from. If you are searching for quality flooring with style, visit our flooring design showroom or schedule an appointment with our flooring design expert today! With products to suit any idea and design options that will help you express your individuality, we can transform your home into your showplace. We promise open, respectful communication. No big box thinking here, only personal service and attention to your needs as an individual. Christian and her staff take great care in assisting you in making selections that are not only beautiful, but also functional and within a price range that matches your budget. With competitive pricing, large selection of materials, meticulous craftsmanship, friendly and courteous staff and expert product installation, it is our personalized service and attention to every detail that, we feel, truly makes the difference. Keeping it local since 1996. Kitchens by Bell was originally formed as a kitchen remodeling company in central Missouri. 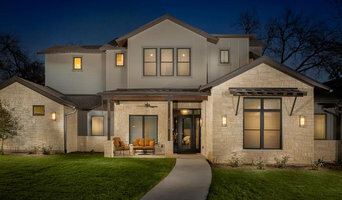 The owner, Bert Bell, moved the business to Austin, TX in December of 2010 where he has quickly gained recognition for his design-build remodeling projects, winning numerous CotY (Contractor of the Year) Awards through NARI (National Association of the Remodeling Industry). When you want to improve the beauty and overall efficiency of your home, trust the experts at Statewide Remodeling. 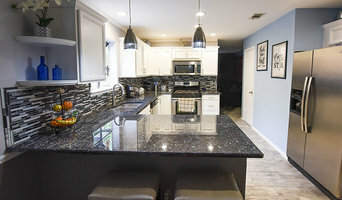 We’re a locally owned and nationally ranked remodeling company that can modernize your living space, no matter what size or scope of renovation you’re looking for. From energy-saving replacement windows, no-maintenance, durable insulated vinyl siding and sunrooms and patio covers for the exterior of your home, to full bath and kitchen remodeling for the interior of your home, we use the best products on the market and get the job done right. We’ve been helping Texas residents achieve their dream homes since 1994. Our unsurpassed commitment to customer service has repeatedly earned us the coveted Consumer’s Choice Award for the past eight years straight and we’ve also been named Service Provider of the Year. We’re so sure you’ll be thrilled with your remodeling project that we even offer a workmanship guarantee for as long as you own your home and a money-back satisfaction guarantee in writing. No other remodelers in Texas can make this promise! For more information feel free to visit us at our Dallas, Austin, Plano or Houston showrooms. You can also contact us to schedule an in-home consultation to receive a completely free estimate. Bryanne or Bry (br-eye) for short! I am an accomplished interior designer and am known for my ability to connect with clients and deliver 'rooms you love to come home to'. With a sophisticated eye for enduring style and personal attention to detail, I instill my passion for design into the process while making it easy and fun along the way. My extensive knowledge of building materials and the construction process sets me apart and allows me to smoothly guide you through your project. We create remarkable spaces that uniquely enhance YOUR lifestyle and reflect YOUR taste and personality. With over 15 years of successful practice, we are dedicated to building long-term, high trust relationships with our clients. Etch Design Group is an award winning interior design firm dedicated to crafting custom residential and commercial design experiences. Based in Austin Texas, Etch provides turn key design and project management services. Our personalized approach begins with discovering each client’s individual needs, budget and style preferences. Etch provides as much or as little assistance as our clients desire, ultimately creating a stress-free and seamless design experience that will be appreciated for years to come. We believe in collaborating with our clients, by drawing on our collective experience and creative influences, to design a space that strikes a delicate balance between purpose and beauty. With over 15 years of collective design experience, we are Etch Design Group. We design and build around you so you feel right, at home. CG&S Design-Build is an Austin residential remodeling firm specializing in high-end, full-service design and construction services. Started as a family business in 1957, CG&S was founded on a culture of loyalty and dedication to hard work – delivering the highest quality product to our clients. Since then, CG&S has grown into a locally and nationally recognized design-build company with hundreds of projects under its belt, but we haven’t forgotten our homegrown roots. CG&S strives for perfection with every client, no matter the size or scope of the project. At our core, CG&S is a group of individuals who work collaboratively toward one sole purpose: making great homes. Haven Design and Construction is an award winning interior design and construction firm, specializing in Kitchen and Bath Design. We manage every aspect of your interior design and remodeling (or new construction) project from start to finish. We are a husband and wife team consisting of an Interior Designer and a Builder/ General Contractor. Together, we have over 38 years of combined experience in the field. Our services include: Comprehensive interior design (for any room in your home), kitchen and bath design, AutoCad drawings, demolition, installation, custom cabinetry design, tile, countertops, appliances, electrical, plumbing and all the fine details. Quality workmanship and superior customer service are always our top priority. 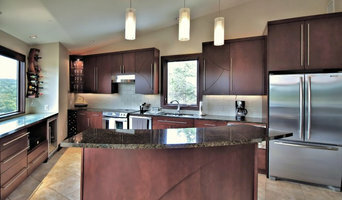 Please visit our website at www.havendesignandconstruction.com for more information. Sara Barney's BANDD DESIGN is a boutique, full-service interior and event design studio headquartered in Austin, Texas, and is founded on the principle that everyone deserves to live, work and experience life in an aesthetically pleasing environment. Her work intersects at the junction of beauty and purpose to create strong, lasting, and remarkable designs. After years of helping friends and family turn their spaces into meaningful, accessibly beautiful areas, Sara merged her passion for design with her strong skill set of creativity, business, and entrepreneurship, forming BANDD DESIGN. BANDD DESIGN believes that interiors should feel effortless, approachable, interesting, and purposeful. A distinctive style, matched with the fluid mix of high and low pieces has become her core design aesthetic. Each interior designed by BANDD is to feel uniquely authentic to each individual. BEST OF HOUZZ 2018/2019!! Triple Heart Design is an award winning interior design and remodeling consultant firm serving Greater Austin and Greater Seattle. One of the trusted interior designers in the Austin and Seattle areas, Triple Heart Design was created out of a passion to help others love their space. We believe your home is your place of peace - let us help you create your sanctuary. We can help you decide what your best options are for working within your budget. Whether you are preparing your home for sale, refreshing for your own enjoyment, or re-doing something that has become dysfunctional, we are here to help. WHY TRIPLE HEART DESIGN? Creating your space can be overwhelming. At Triple Heart Design, our goal is to make it easy and enjoyable to create the home you’ve always dreamt about. We’ll work side-by-side with you – guiding you through the decisions, presenting fresh options and helping you choose your favorites. Through collaboration and your vision, we pull it all together into a home design that is beautiful, functional, and represents you. We specialize in design consultations, kitchen and bath remodeling, furnishings selection, and interior remodeling. Christen Ales Interior Design is an award winning, full service interior design studio specializing in residential interiors. We understand that every project is different. Every budget is different. Every client is different. This is why we cater our process to each client. Our passion for design and the desire to promote your well being is our driving force! Whether the project is traditional, modern, new construction, remodel, or purely decorative, Christen Ales Interior Design creates spaces with a fresh perspective that uniquely reflects your personality and desires. Christen Ales is a licensed interior designer in Texas with a Bachelor of Science in Interior Design and a Minor in Art. She has over a decade of experience in high end residential interiors, with six as principal of her own firm. Her work has been featured in many publications including Tribeza Magazine, Austin Home Magazine, Austin Way Magazine, and Houzz. In 2018, she was a Final Nominee in 2 categories of HGTV's Faces of Design competition.